Each year it’s a little different. Sometimes it starts around June 25. Sometimes as late as July 5. This year, it was in-between. I was there with clients the first day the reds began to arrive; we got a limit of 6. The next day, 10. The next day -12. Then 18. After that, it was limits every day. Then the tide schedule got so that if a person played it right, they could get over there two trips a day during the daylight. Granted, we had to burn the candle on both ends, but it was doable. Twice, I went over at 3 am and crawled into bed just before midnight. 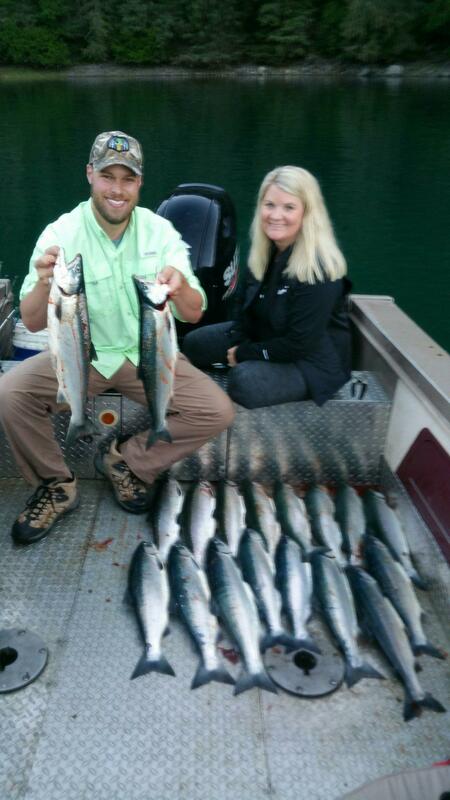 My hands were raw and bleeding from handling and cleaning hundreds of salmon. I struggled to keep up with vacuum packing my own fish, and keeping a fresh batch smoked for our guests to enjoy. Eventually, I had to call it quits for a couple of days, do something different, and let my hands heal. I will let the photos speak for themselves. 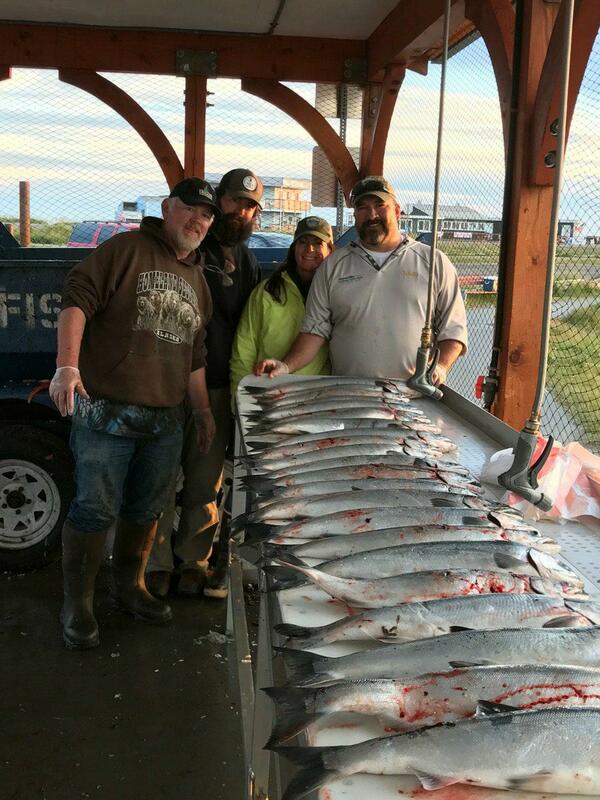 Here are some of our happy guests – who stayed at Majestic View Bed and Breakfast and went fishing with Captain Tim on a Majestic View Adventure. At the cleaning table with fellow Minnesotans Mike and Lynette Nolan. 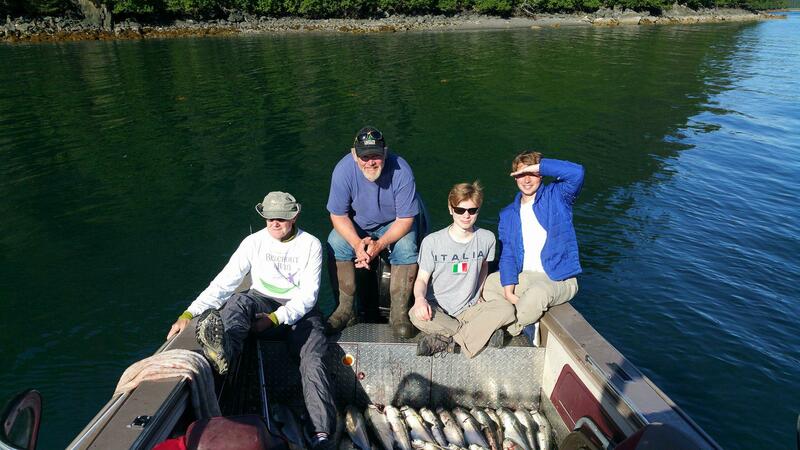 They were kind enough to let my son Ben join us on their fishing trips. We went over for limits of salmon twice during their stay, and took home a couple good boxes of frozen fish to share and enjoy over the next year, while they dream of coming back to Alaska again. 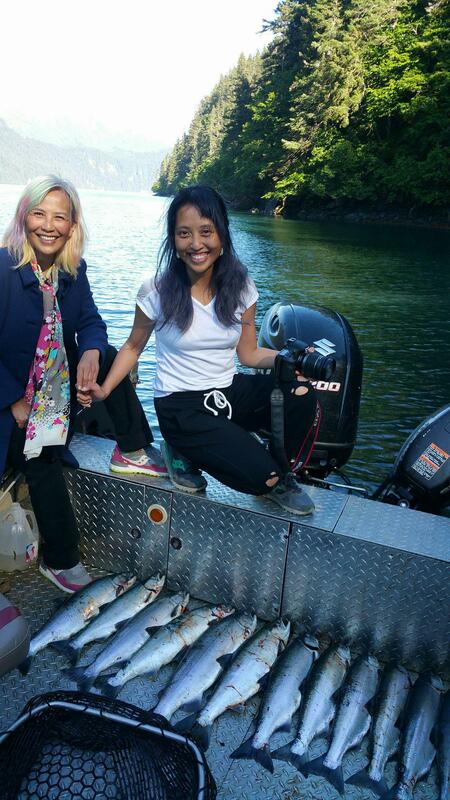 Venus and her daughter Anh pose with part of their catch. Funny how they went from not wanting to fish, to letting me hook a couple for them to pull in, to wanting to learn to cast and hook their own. Then it got really wild when they began immersing themselves in every aspect of it – right down to netting and bonking the fish on the head! I don’t know if I’ve ever heard so much giggling and laughing as with these two. 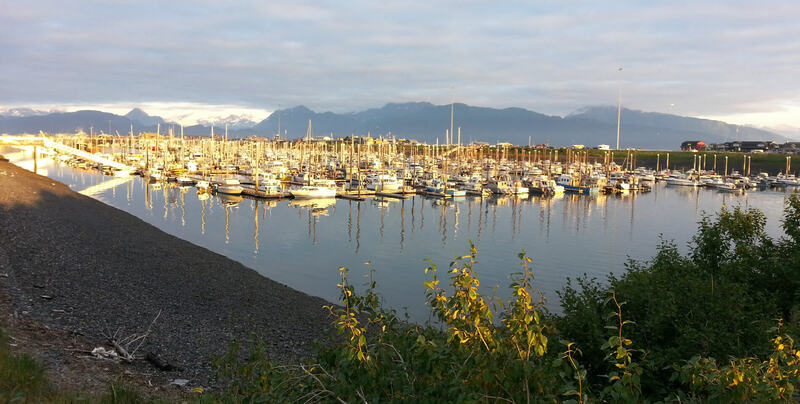 Would you believe that Josh and Lisa got up at 2:30 am to experience the early morning tide? Well, they weren’t disappointed. We had the lagoon mostly to ourselves that morning – and they caught 18 fish in just over an hour. 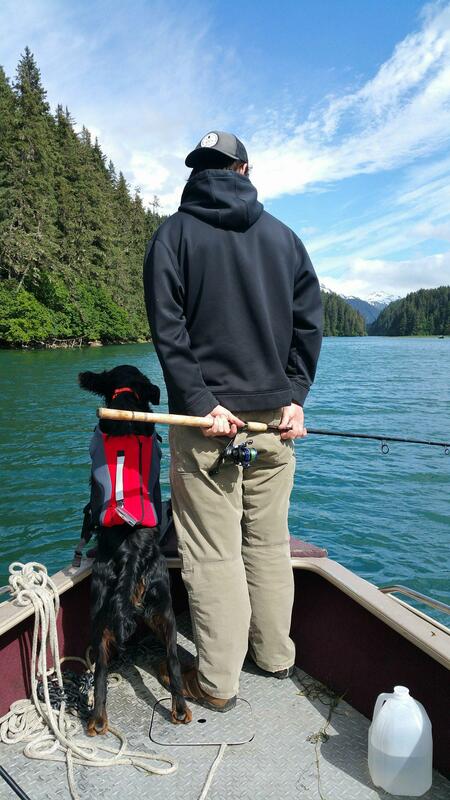 Ben and Sam Elliott have their eyes on the water, looking for a school of salmon to cast to.